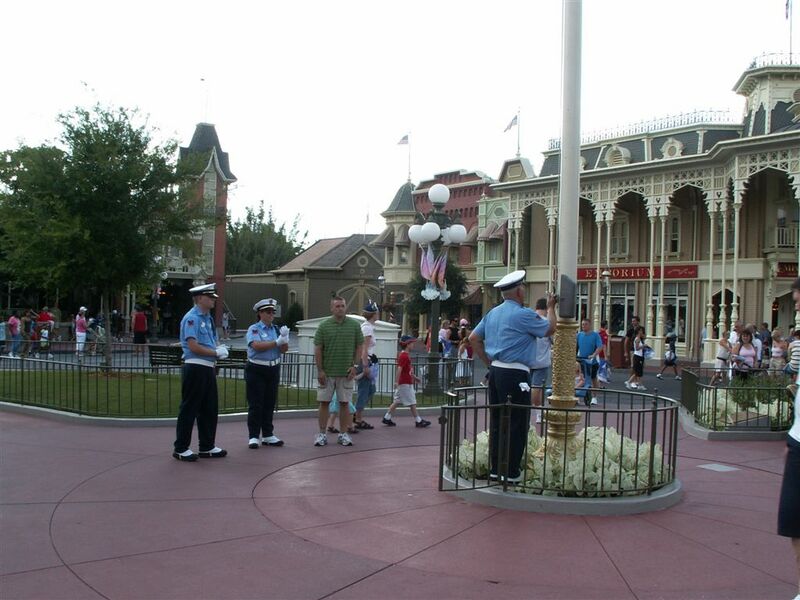 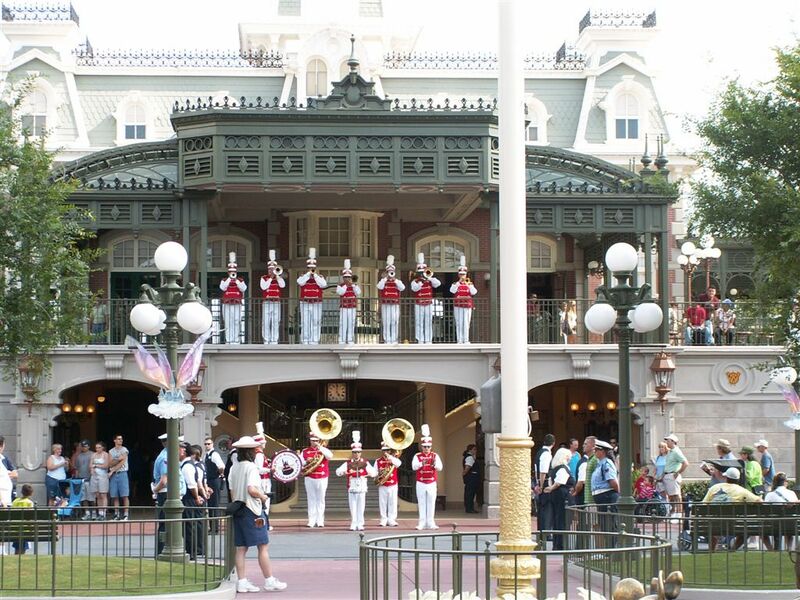 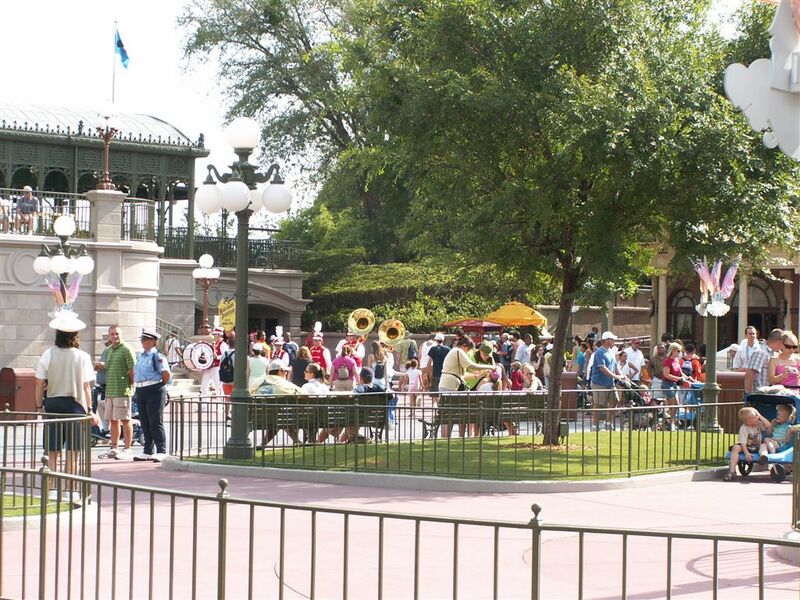 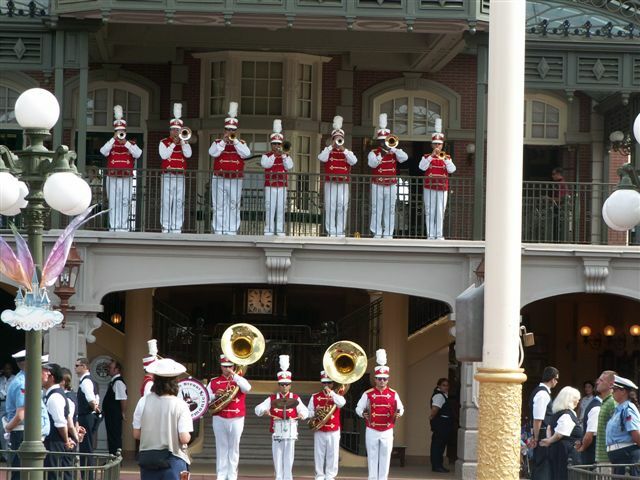 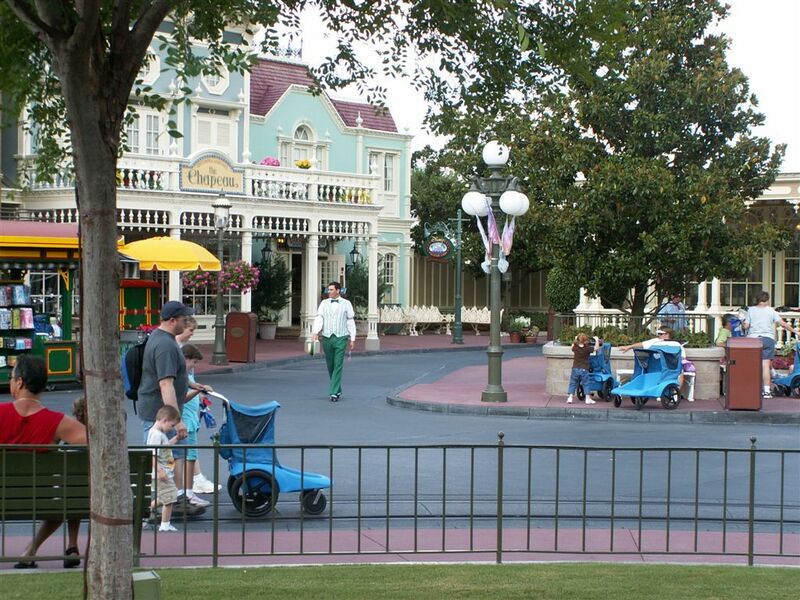 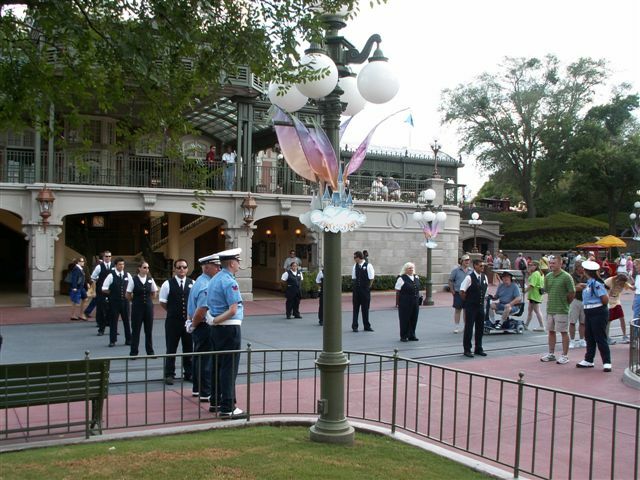 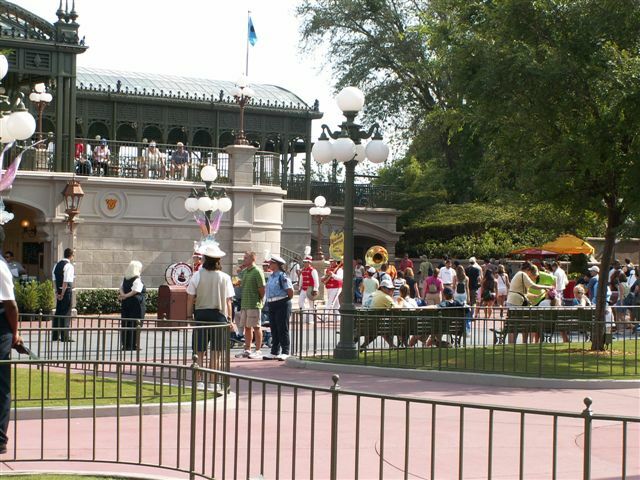 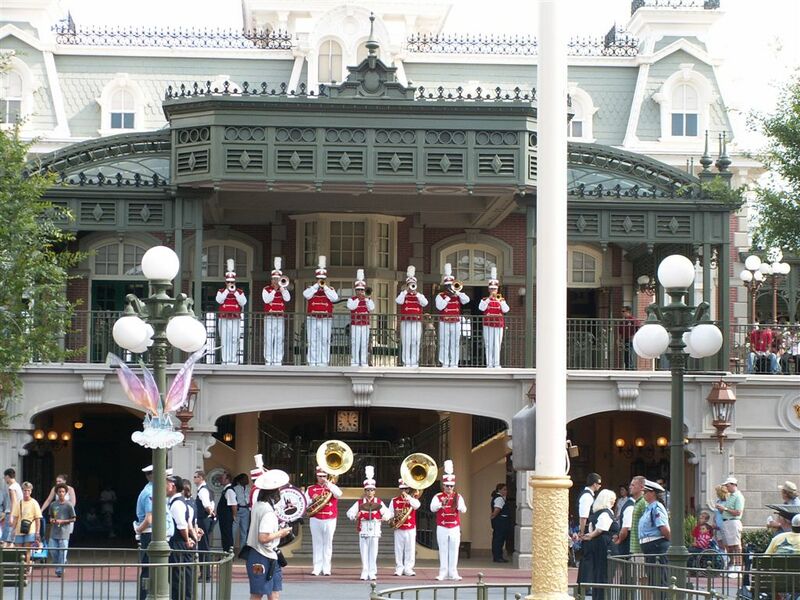 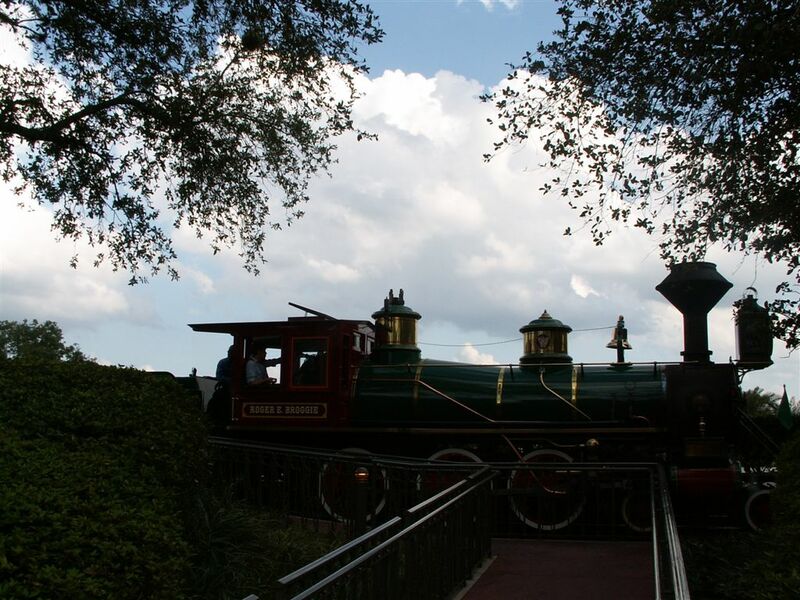 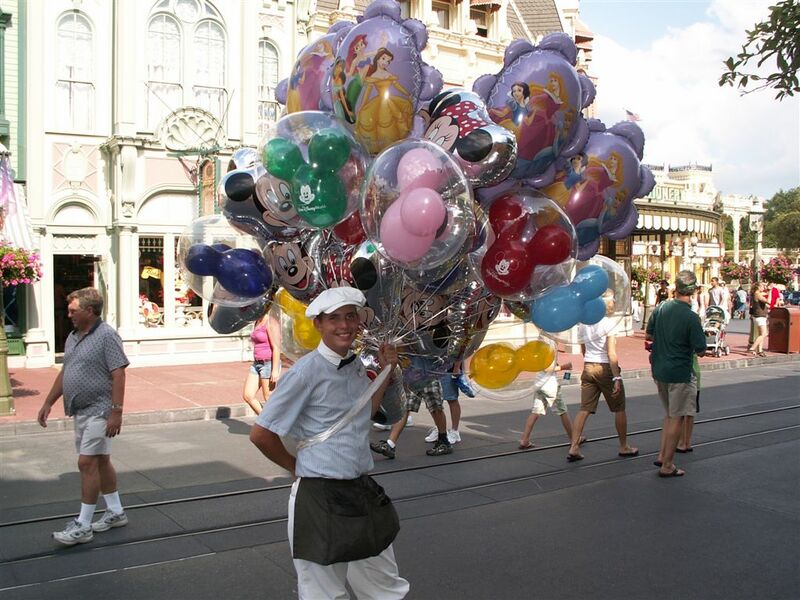 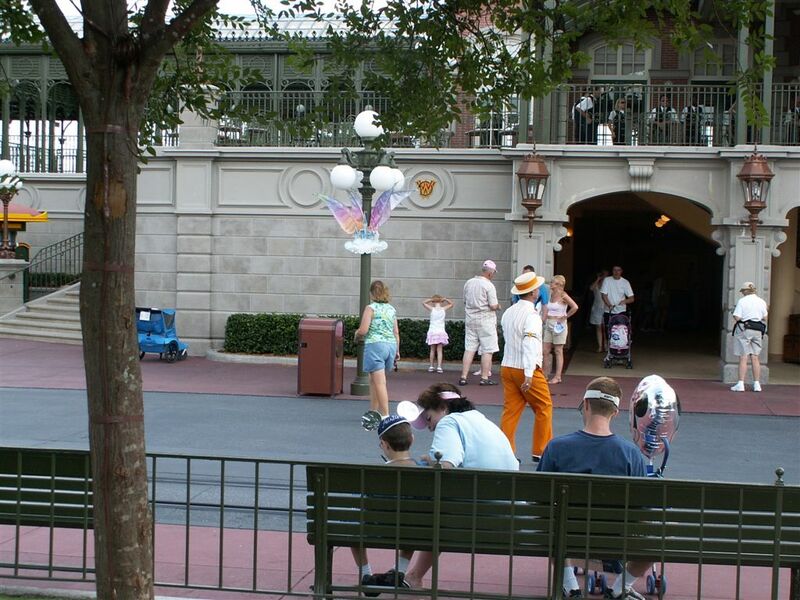 Above and Below: As time for the Flag Retreat ceremony neared a few cast members started to tricle into town Square. 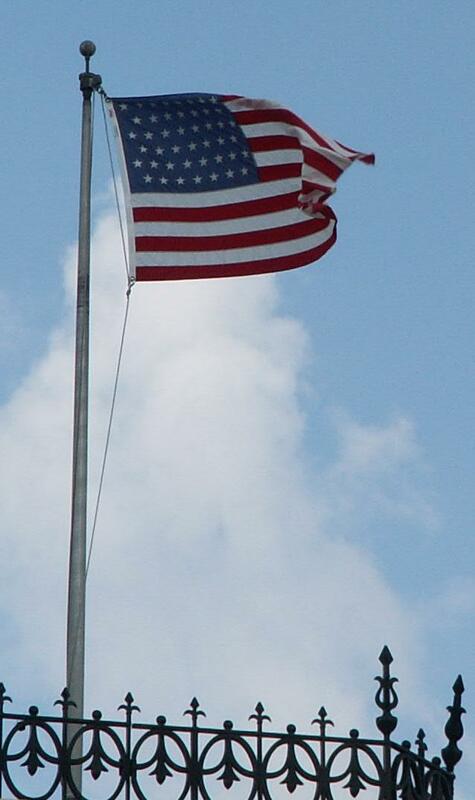 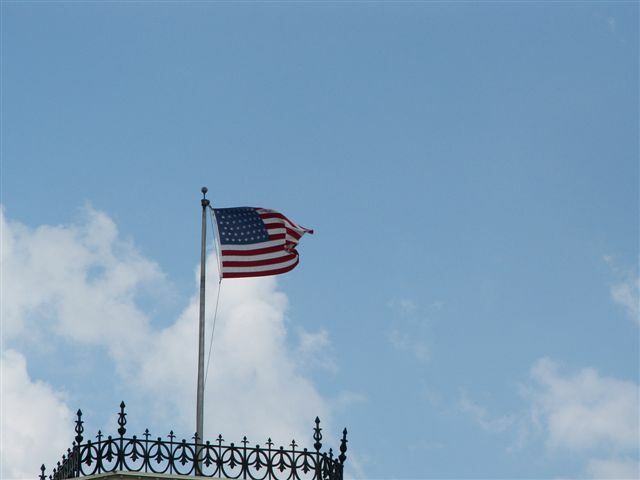 Above and Below: I had heard in the past that the flags on top of the Main Street buildings and in other all weather or unlighted locations (like on the ships) that are not taken down every day have less than 50 stars making them technically not flags heres photographic evidence of that this 45 star flag is atop the Exposition Hall. 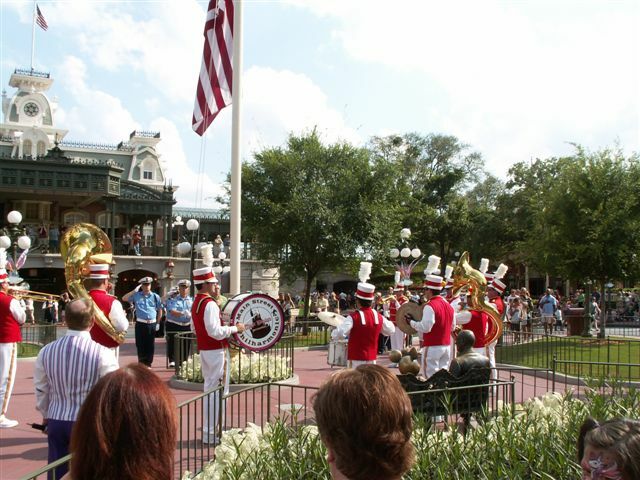 One of the reasons I wanted to catch the Flag retreat ceremony, even though I had just recorded it in December is that it had changed a good bit in that time. 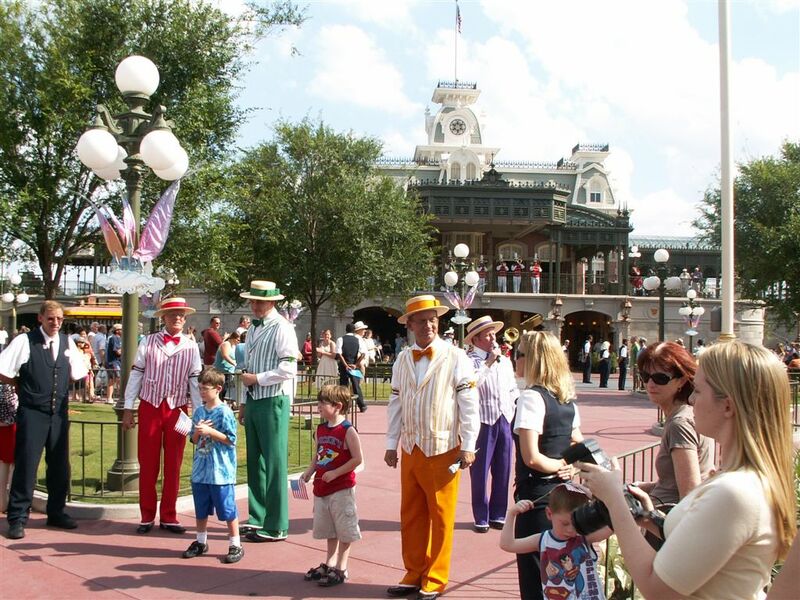 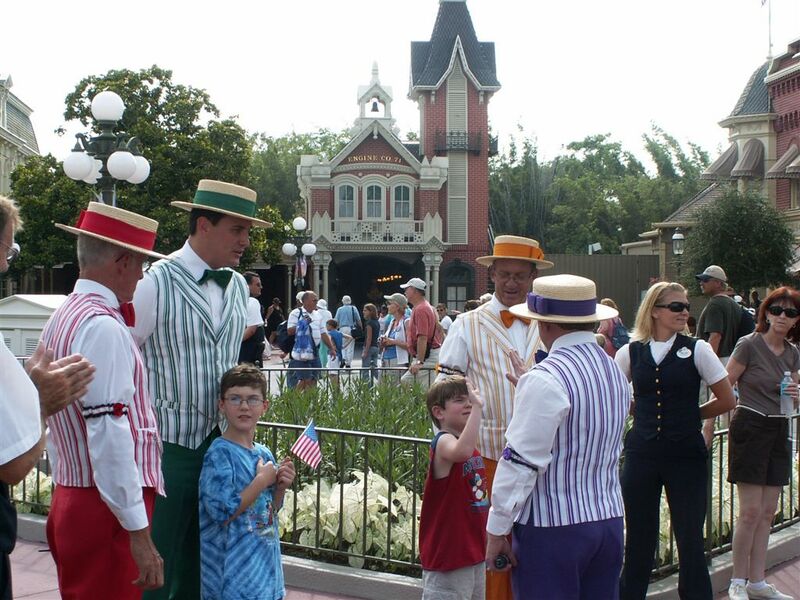 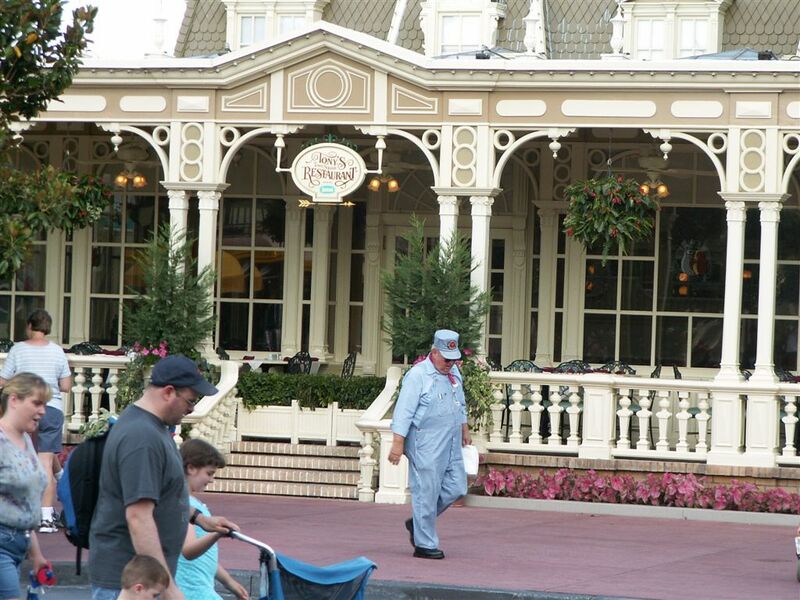 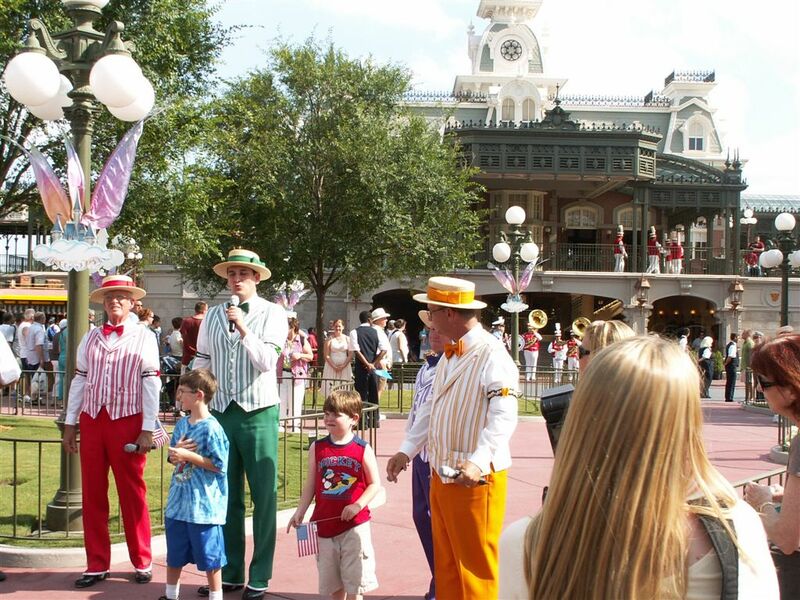 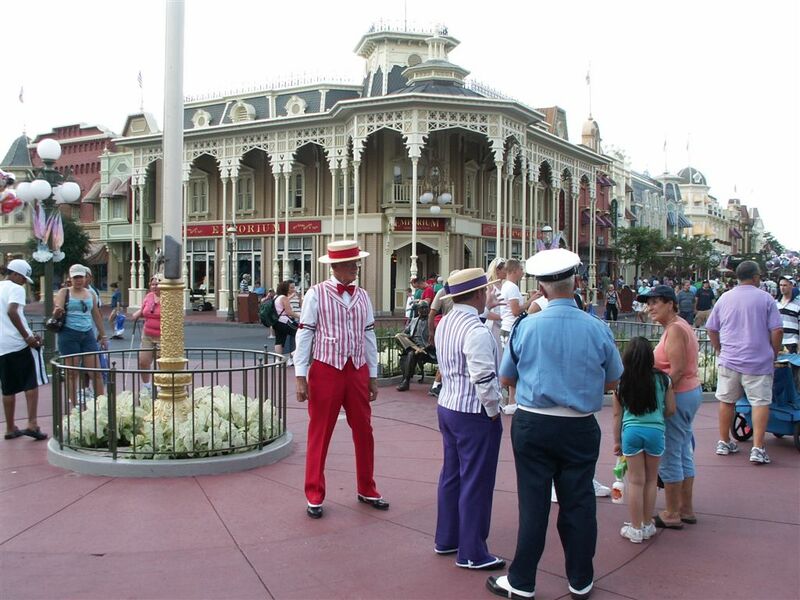 In December the ceremony did include the Main Street Philharmonic just as it does now, but it had also had the Dapper Dans added to it since then. 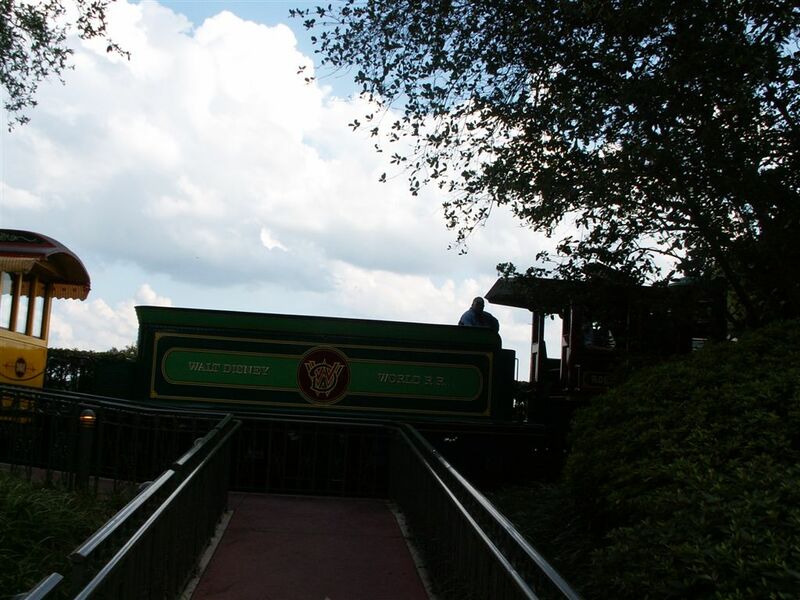 Above and Below: Just a few more pictures beore heading out of the park.